No computer build is complete without a monster case to contain all the power that comprises your new rig. There are literally hundreds of computer cases on the market ranging in size from book-shelf mini-ITX all the way to full size towers capable of containing quad CPU configurations. Today we will take a look at the latest full size tower offering from XClio, the A380Color-Plus. 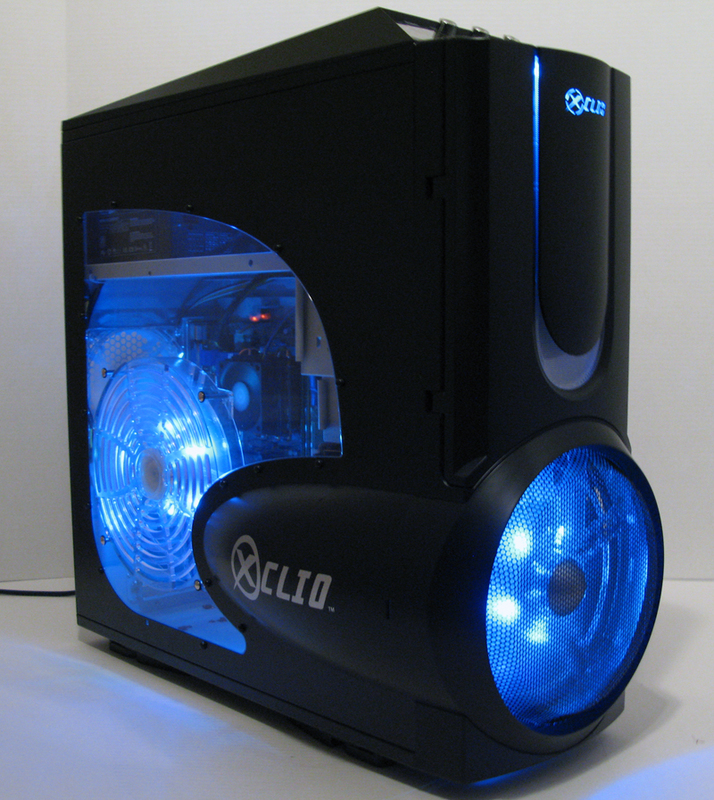 XClio latest case is not short of space, size, cooling, or color options. Its large size and footprint make it a spectacle, but a unique touch of color beneath the fan grills makes this case special. The case features multiple large cooling fans, a large side window, and a top mounted control panel with USB, HD audio, & eSATA ports. The top of the unit features 2 large LED fans designed to vent heat straight up out of your rig. 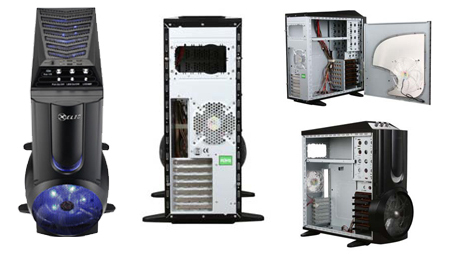 Join us as we showcase the latest XClio full size ATX tower case, you will not be disappointed. This is very obvious why we give the name A380 to this unique case if you see the actual case. Attach an engine of the largest civil flying machine in the world on the front panel. Color Plus version features a massive 256 Color 25cm fan, and another 256 Color 25cm fan attached to limpid acrylic on the side panel. And the top panel with twin 256 Color 18cm fans can bring the heat out of the case. Two fans on the front and side panels target the main heat source of the chassis which protect and enhance your hardware components by cooling down the temperature efficiently. And the top fans draws the heat out of the case so that it could actually decrease the interior temperature. 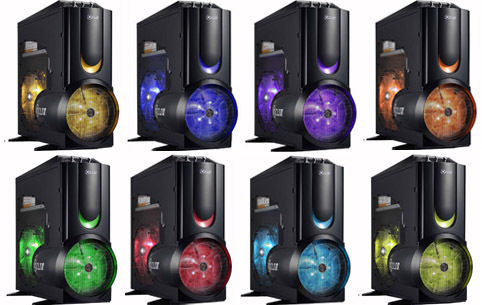 Each fan will feature world first 256 color LED tech, users can choose at most 256 colors. Also to reach more extremely heat-sink demand, each case feature 6 hard drive trays with cooler. Either the appearance or the function, A380Color-Plus can give you an experience more than you can imagine.